You should lock windows desktop when it’s not in used, so that it cannot be accessed by other users when you are away. If you are not around and windows desktop is left unattended, it can be easily accessed by others to change the settings or install malicious application, and I don’t think you would ever like this to happen. 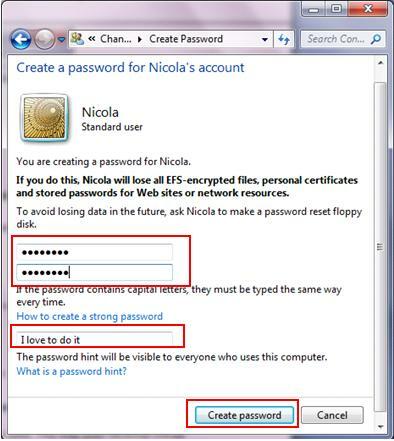 Therefore, let me show you how to lock windows desktop in Windows 7 or Vista when it’s not in used or left idle quickly. Please note you need to key in password in order to log in again. 1) Go to Start and click Control Panel. 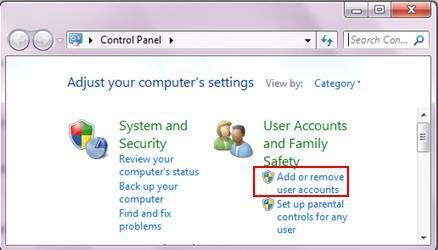 2) Go ahead to click Add or remove user accounts. 3) Here you will be able to find out if your username is password protected as shown below. If it’s not password protected, please click on the username. 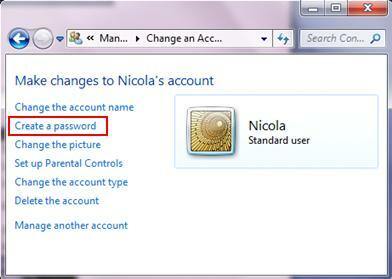 As you can see from here, my username Nicola is not password protected, so I go ahead to click on it. Note: Guest username should be disabled to minimize security risk if it’s not in used. It’s created by default when you installed the Windows OS. If you like, just go ahead to click on guest username and select option to turn it off. 4) Ok, here you should click on Create a password to set password for the selected user. 5) A good password is composed of number, alphabet (upper case/lower case) and symbol, so remember to set a strong password. Please also type a hint for you to remember the password, but please keep in mind that this hint will be visible to everyone who uses this computer. Click Create password at last. 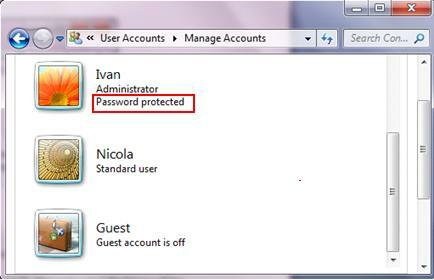 Once your username is password protected, you can lock your desktop screen anytime you want easily. How to do it? Just click on Start, proceed to click arrow beside Shut down and click Lock. This way your desktop will be locked and this requires password authentication to log in again. You can also have your computer screen locked when you are away automatically after some time this way. 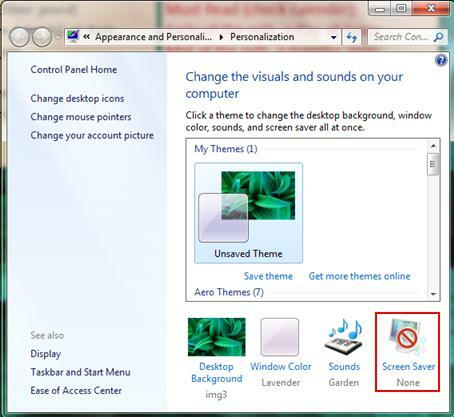 1) Right click on windows desktop and click on Personalize. 2) Personalization window will appear, then click Screen Saver. 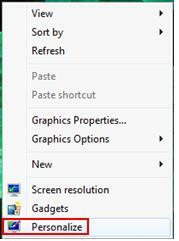 3) On Screen Saver Settings window, tick and select On resume, display logon screen and set how many minutes you want it to activate when the desktop is left idle or unused (I recommend 1 minute). If you like, you can also set the screen saver (I don't like screen saver and so I don't set it). Click Apply and OK at last. Return to top of "How to Lock Windows Desktop when Not in Used"! !